When you think of the mission field, what countries come to mind? Africa? South America? Maybe Asia? 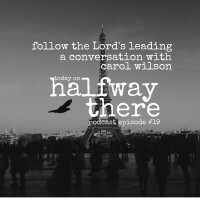 Today’s guest is Carol Wilson, a woman who heard God’s call to go so she gave up her beloved teaching job and took a step. We talk about how the end is never really clear until much later. Instead, you just take one step toward what you sense God calling you to and see what happens. Carol did just that and He took her all the way to France where she served as a missionary for 36 years. In today’s episode, Carol shares the story of her conversion at a Billy Graham crusade in Des Moines, Iowa, her call to the mission field, and stories from her ministries including what made her question whether she was in the right place and meeting Francis Schaeffer. Little by little, over the year, I can say things happened in my life…that caused me to see the need in France. When I got there I learned it was called the graveyard of missionaries because there are so little results there. If you’re willing to follow the Lord’s leading, he is able to lead you exactly where he wants you. 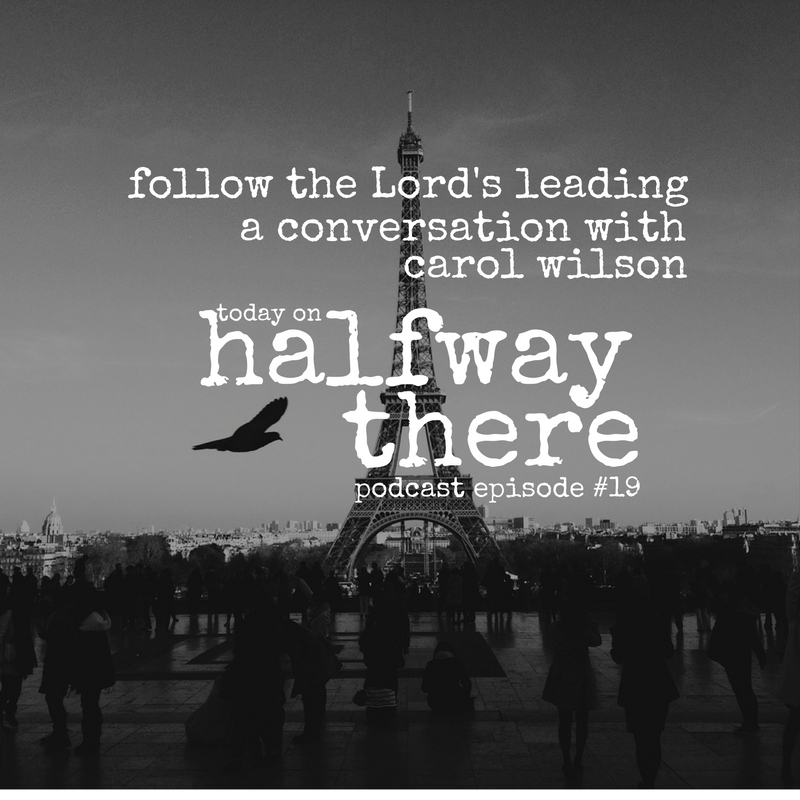 Did you enjoy hearing Carol’s story about ministering in France? If so, be sure to stop by iTunes and subscribe so you never miss an episode. And tell a friend!